“She’s wrong”: Real talk from the Washington Post on the democratic socialist darling. 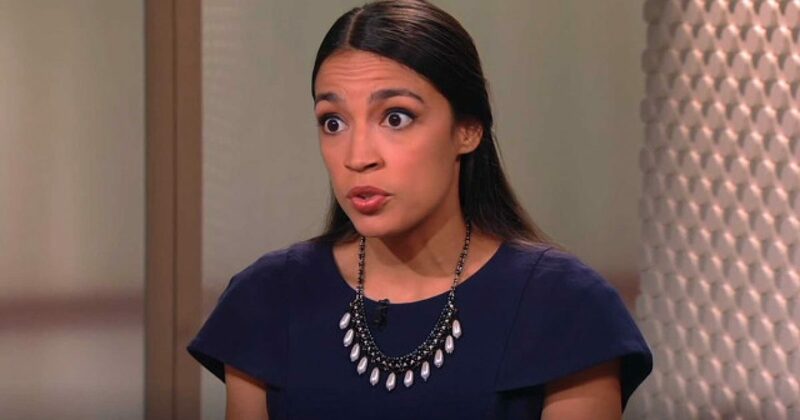 Alexandria Ocasio-Cortez, (or ‘AOC’ as those of us who type for a living have come to call her), is conjuring up quite the caricature of herself as of late. The freshman Congresswoman is the first, true, full-fledged millennial to serve in the House of Representatives – a circumstance that has put Ocasio-Cortez under a microscope in the media. Pair this with some or her wilder dreams of democratic socialism, and her affinity for putting her own foot in her mouth, and you have a young woman who not only inspires the alt-left but also irritates the rest of the nation. Now, even as a great many other mainstream newspapers continue to promote AOC as a beacon of liberal hope, the Washington Post can stand aside no longer and allow the nonsense to flow unabated. That could very well be one of the only times that a mainstream media figure has truly and flatly told us the reality of AOC’s incessant blathering, at least on this subject. For what it’s worth, Ocasio-Cortez does have an extremely powerful charisma that has entranced the democratic youth. Now the question is: Will she lead them astray, or will they learn the errors of her ways and continue to develop their liberal skepticism?